If people don’t appreciate your contribution now, I think you’ve still got to do it, remember all the people who weren’t appreciated until after they’ve died. So try. To be honest, market signals can obviously be wrong, or at least, very, very delayed. And you, contributing as yourself (even if it is while you are earning an income doing something else for someone else) is better than never being yourself at all. So do what feels right to you. Contribute what you feel is needed (even if no-one seems to want it now - you never know, you may become an 'over-night success'). I am writing this tribute to LIFE as an alternative to belief in gods or God (and religion), and the idea we should live for an afterlife rather than for now. I’ve felt no great driver to do this before, but recently, I felt the direct repercussions of more importance being placed on the hereafter than living for now, and most us have felt similar repercussions (via religious violence or persecution or exclusion) indirectly, or have been vessels of this belief themselves. LIFE is great. We are formed by LIFE, sustained by LIFE, the very air we breathe comes from LIFE, the food we eat is LIFE, LIFE is in us, we are LIFE. So choose LIFE, this life, now, choose to live fully and in accordance with LIFE. LIFE is the power in all of us. LIFE is the truth. LIFE is the way. Serve LIFE, whatever LIFE has in store. If you feel it (a desire, a feeling, a need, a want), then LIFE knows it. We are made by LIFE for life, and life is made by LIFE for us to live it. LIFE knows what we want. LIFE knows. And LIFE will provide. LIFE is the truth, and the truth is all around us, through us and in us, visible and invisible, understood and misunderstood. LIFE loves us, LIFE invented love, and attraction and nurturing and everything else we do we do in life, we evolved in LIFE. 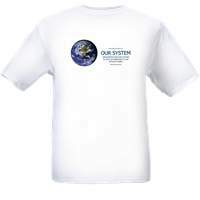 We (and all life alive today) are the forefront of LIFE’s evolution so far, we are made for our environment, we are our environment. So love LIFE, learn about LIFE: learn to live, live to learn. LIFE is understood through more than science, there are fields of knowledge that have not been imagined, so there is always more to learn, be open to new ideas and especially ideas that confound your own. Creation isn’t just one event that happened one time as an act of God, creation is happening all the time right now and for as long as there is LIFE. “Life should be an aim unto itself, a purpose unto itself.” Montaigne. “Let life be its own answer.” Sarah Bakewell on Montaigne and ‘How to live’. “Live it [your life] according to Nature.” Marcus Aurelius. “I don't have any idea of who or what God is. But I do believe in some great spiritual power. I feel it particularly when I'm out in nature. It's just something that's bigger and stronger than what I am or what anybody is. I feel it. And it's enough for me." Jane Goodall. That spiritual power is LIFE. We can all believe in LIFE. It is real. It is bigger and stronger than us, but we are all part of it. There is no other force stronger for us, for all living things, for we are all part of LIFE. So celebrate LIFE, guard LIFE, protect LIFE, be grateful for LIFE, be true to LIFE, live your life, the life that is now. LIFE is also a cycle, through death and creation, endlessly evolving. We are all dying, everyday that we live. Only when we are dead are our bodies not dying. Dying is part of living. Dying is the recycling of LIFE into more LIFE, and even though we die, our cousins and other life live on. So LIFE is effectively immortal, even when individuals are not. LIFE is our king, and we are all kings, kings of ourselves. You are the king of yourself. LIFE gave us our kingdoms, our lives, to live, and by living them we fulfil LIFE itself. We respect LIFE and the lives we have been given by being ourselves, not the same, not sheep, but individuals, fulfilling the variety that LIFE has created in us. To do that, so that we can all do that, we must also do that without harm to others. Safe communities are communities of individuals respecting the right of everyone to be their individual selves. So live now, a good fulfilling life, without harm to others, realising your unique self and finding your niche, your place in your community, your place in the universe. The whole idea of a shared base income (the SBI, a universal income funded by a half share of all earnings) is to enable everyone to grow, to fulfil their potential. So the SBI encourages excellence in what we do, it encourages us to contribute at what we're best at, because that best realises who we are. Humans (also known as 'homo sapiens' or 'wise men' to translate) are also mind-centric, we try to understand how things work in order to learn and to adapt and form ideas on how best to use and do things. The ideas on how to use, shape and form things are the ideas that enable us to do more. These are the ideas that form new techniques and new technology, and technology is the driver of economic growth. It is why, for the last 250 years or so, we've had economic growth of 2 percent per year on average; whereas, for the last 2 million years or so before that (when forms of primitive humans first evolved) economic growth had been virtually zero. A true SBI should put us on a new level of growth, above the 2 per cent average. And it should enable the benefits of that growth to be shared with everyone, which is why the greater growth happens. Income seeking is the desire to build enough wealth to ensure financial security. Financial security gives people the financial independence not to need to work for an income because they have enough wealth to sustain themselves without one. With financial independence, we can choose how we contribute and be safe from loss of income for any reason (such as illness, accident, whatever). At a very high level of wealth, people have the equivalent of guaranteed income such that they can choose how much work, and what work, they do. They have the financial security, the financial independence, to do this. One way to help people get off the rat-race of pursuing ever higher incomes to generate ever larger stores of wealth to gain financial security, is to just give them than financial security directly via a guaranteed income. This is what universal basic income plans seek to do. Importantly, the universal basic income does not have to be only in direct payments. In fact, it is more effective if a substantial component of it is indirect in the form of public services like universal free education, universal free healthcare, and other public services that have a universal application by their nature, such as transportation infrastructure, law and order, and defence. By being a universal insurer, the government can (at least theoretically) provide the best and most effective services to everyone, and at the least cost (the government could competitive tender out the service provision, the important part is that the government ensures the universal provision). The risk to giving everyone enough of a guaranteed income not to work, or rather, to work at what they wish to, is that the market forces of supply and demand and its intermediary of price levels are obscured, thus people may provide products and services that the market (other people) don’t actually want. That is why, rather than providing a guaranteed income at a high level, the guaranteed income, in a shared base income, is set at a ‘base' level, one that isn’t too high to destroy the desire to still attain more income by contributing product that others need. The base income is coupled with a ‘half-share’ flat tax rate that funds it. It is flat so that there is a fixed (non-diminishing, so still motivating) return on every dollar earned, and is set at 50 per cent on the rationale that it can be conceived as a ‘fair share’, i.e., ‘half for you, half for me’. This also makes it very simple and straight-forward (and less costly) to administer. The concept of a 'fair share', and a 'base income' that is 'shared universally', is why this universal basic income proposal is called the 'Shared Base Income' (SBI). In The Common Purpose Manifesto, I mentioned that a useful measure of international performance might be a simple comparison of the level of their shared base income (the SBI, which is a form of universal basic income or UBI). Of course no country has a completely universal basic income (UBI) in place, let alone an SBI. 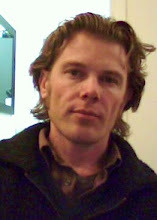 However, partial UBIs exist, such as New Zealand's superannuation retirement income which is paid to all citizen 65 and over, and there are numerous countries with universal free (or highly subsidised) education and health services that are essentially an indirect form of universal income (where they are universally provided). Adding together the income of these provisions by country is unfortunately far from straightforward. Aside from the income provision front, with an SBI we also have the half 'share' of profits wages and salaries. Performance on this can be calculated by comparing countries tax systems against the 50% flat tax of the SBI. The best collated source of economic data is probably OECD Data. Unfortunately it's going to take quite a bit of work to shape the data available to universal incomes (direct or indirect). Even getting the right measures of public (govt.) sector spending is problematic. The following example is government spending by 'individual'. Unfortunately the chart as 'shared' from OECD drops off the region names on the x-axis (too many regions I guess). The coloured bars are in fact Finland, Denmark, Norway, Netherlands, and Sweden (in that order, left to right). The chart is interactive (click on the 'Fullscreen' tab to see it all with regions named). 'Individual' spending is in services like healthcare and education which can supposedly be provided by the market and so is being called 'individual' (even if they are provided universally). This is opposed to 'social' spending on 'public goods' like defence and justice (I'm not sure where they've placed infrastructure spending at this point). It won't be any surprise, I imagine, that Norway, Denmark, Switzerland, Finland, Netherlands, and Sweden are also in the top ten OECD countries for 'life satisfaction'. The other four countries in that top ten are Iceland, Canada, New Zealand, and Australia. So given we know better sharing of income works better for our system, why aren't more nations doing it? 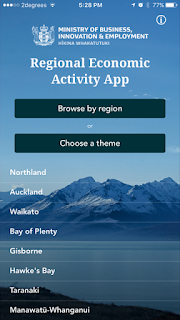 I don't know why there isn't a webpage with New Zealand's best apps, or at least, the best apps on New Zealand. Given I am, in fact, a New Zealander (I live here so I am a New Zealander, by nationality anyway), I feel I should try to rectify the situation. Also, because OUR SYSTEM is about trying to understand our system, these two apps that follow are particularly appropriate. The first is the Regional Economic Activity App, because it gathers and summarises, in rapidly digestible figures and charts, the key things you need to know about every region of New Zealand (at least, every key thing that has a measure available). And it's not just economic. Also, it's beautiful. Like New Zealand. 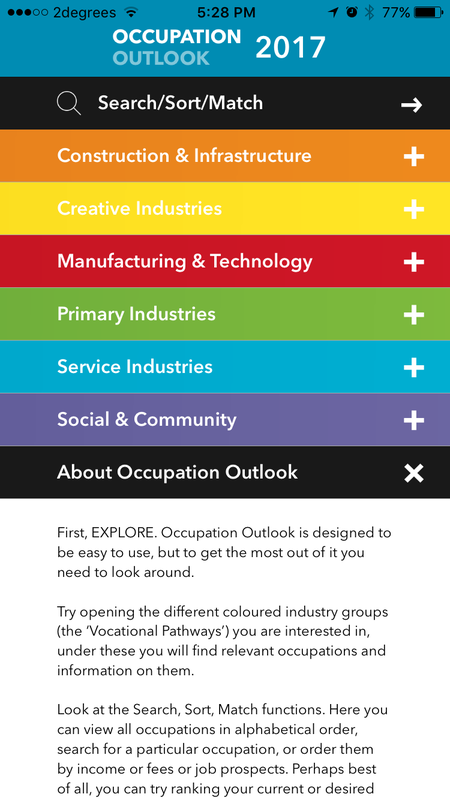 The second app, the Occupation Outlook, is all about trying to find your niche. And that is what life is all about. That is our common purpose, to live, to grow, to find fulfilment, and to do that, just like in evolution, you need to find your niche. This app helps you do that. You can search and look at vital information on over 100 occupations (they're classified like a taxonomy, just like biologist's do for nature, you have to do that to make it all manageable, but of course there's infinite variety within those occupations and around them). 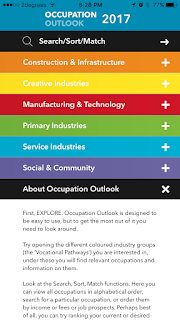 You can also indicate your skill levels on core subjects to get back a list of matching occupations (in order to help you think about what you want to do). So give it a go, it's easy. 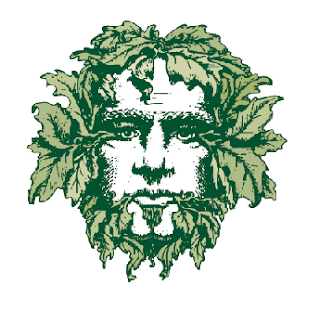 Here are the links. There's apps for both Android and Apple smartphones.